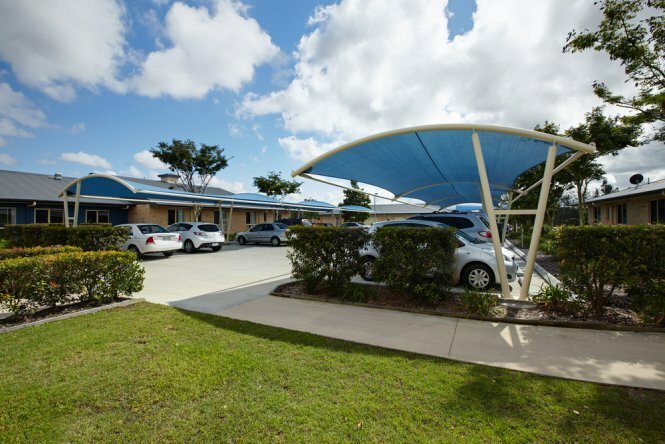 Global Shade specialises in offering a custom-made carpark/carport shade canopies and structures in Australia. Our carpark shade solutions are perfect for use both in residential and commercial applications. From single bay shade structures to solutions for mass coverage, you can count on us to deliver! 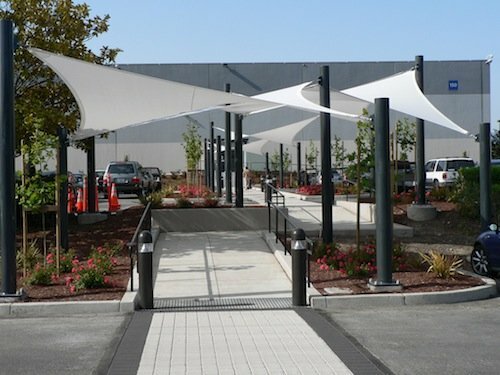 Our carpark shade solutions are a cost-affordable choice as compared to standard shade structures. Trust Global Shade products to offer the best value for money! 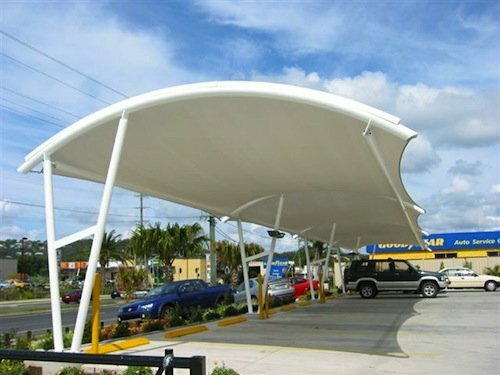 Regardless of how large, small or irregularly shaped your carpark is, Global Shade can manufacture a shade solution for you. Our flexible and lightweight carpark shade structures and canopies can be used in a variety of configurations. When you choose Global Shade carpark shade solutions, you can take advantage of some exceptional features. From a wide range of fabric colours, waterproofing and exceptional UVR protection, our shade solutions offer the features you need. Global Shade products are known for superior quality, and this is because we manufacture our products using superior grade materials. Right from the shade cloth fabric to the use of PDFE threads, stainless steel wires, and quality thimbles, we use only the best materials. 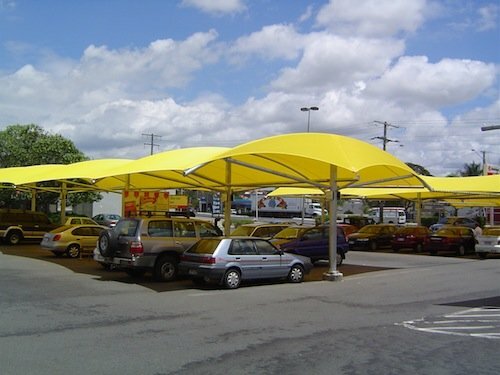 Global Shade carpark shade structures and canopies are available in a wide choice of fabrics and colour options. You can choose to go with waterproof fabrics for an all-weather solution or go with standard shade-cloth fabrics for simple sun protection. Extensive warranties back all shade fabrics we use in our products and come in a choice of colour options. 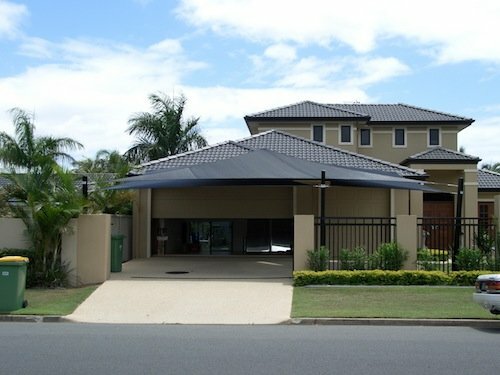 Domestic applications: Providing shade for single bay car parks and driveways in residences. Commercial applications: Providing all-weather protection for medium and large-sized carparks in shopping centres and other commercial establishments. Global Shade takes pride in offering high-quality shade products at the most competitive prices. 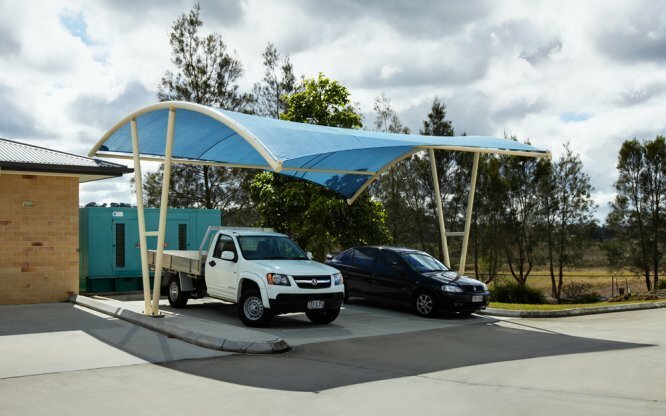 Our carpark/carport shade structures and canopies are the lowest priced in the market, and they offer exceptional value. When you choose us, you can rest assured that we offer fair and transparent prices. 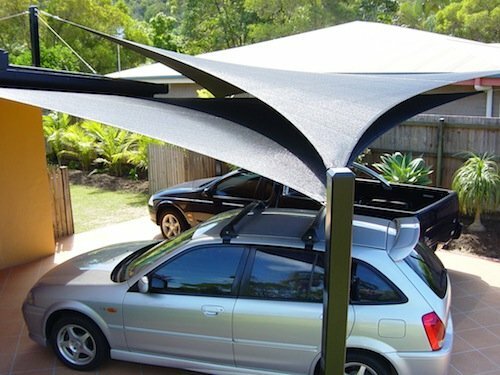 For high quality yet affordable carpark/carport shades in Australia, trust the shade experts at Global Shade. 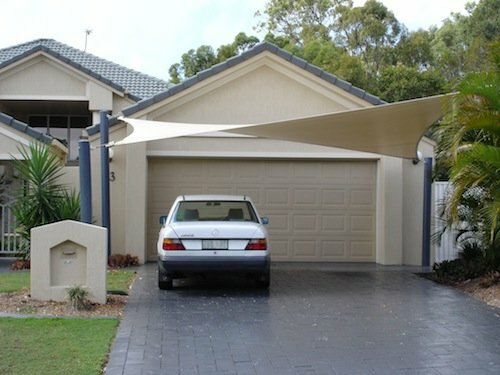 Whether your home or commercial business establishment is located in Brisbane, Gold Coast, Sydney, Melbourne, Perth, or anywhere in between, we will be able to put you in touch with a local licensed shade installer who can design and install carport shade or carpark shade to meet your requirements. Contact us to discuss your needs and options. Phone our team on 1800 724 407 today.